Nintendo DSi to get its own 'app store'? 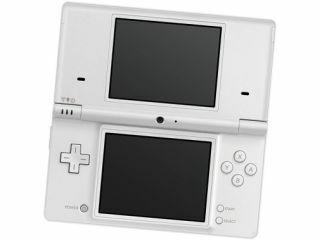 The Nintendo DSi will arrive in Europe on 3 April. With Nintendo's new DSi set to get its official European release in two weeks' time, there's speculation that the company could be set to launch its own version of Apple's App Store for the platform. Develop claims that a secret Nintendo Developer Conference took place in London this week, and that those who attended were encouraged to consider creating 'shorter' applications. One source is quoted as saying: "Nintendo is keen to have developers offering all kinds of software once the DSi store fully launches for access in Europe and America. "Given the advanced functions in the DSi, such as the microphone and camera, the company told us that there are a variety of opportunities for a variety of apps, both in a games sense and a non-games sense, that we could offer." Develop speculates that an announcement regarding Nintendo's app strategy could be made as early as next week, when Nintendo president Satoru Iwata will deliver the keynote speech at the Game Developers Conference in San Francisco. Music-making apps for Apple's iPhone/iPod touch platform are now many and varied, and if Nintendo does decide to pursue the rumoured strategy, it seems plausible that the DSi could get a glut of them, too. AQ Interactive has already shown what's possible on the DS with its Korg DS-10, and there's some good 'homebrew' music software out there, too.